Want to get legs of steel—without using any weights at all? Then it’s time you make it your goal to master pistol squats, the ultimate bodyweight leg exercise. If you’ve tried—and failed—at pistol squats, you’re not alone. In fact, there are plenty of people who can squat with a super heavy barbell on their back, yet still can’t do a single pistol squat. That’s because not only do you need an incredible amount of strength to be able to do them, you also need to be mobile, flexible, and have a good amount of balance. But here’s the thing: if you think you can never do a pistol, think again. Yes, pistols are tough, but they’re notimpossible. With the right progressions, consistency, and hard work, you can start rocking pistol squats. 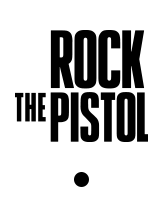 And our newest program, Rock the Pistol will help you get there. Unless you’re hanging out with gymnasts, elite athletes or people who have practiced calisthenics for years, you probably don’t know too many people who can do pistols. That’s because pistol squats require a lot of strength that most people simply don’t have. When you learn to do pistols, you’ll really build legs of steel. And when you start practicing pistols, don’t be surprised when your abs and low back get sore. Pistols require a lot of balance and core strength, so practicing them also strengthens your core and back muscles. Flexibility is important to keep our muscles balanced and bodies pain-free. Being able to do pistols will significantly improve your leg flexibility. Mobile joints allow you to move freely without limitations and pain. Training for pistols significantly improves mobility in your ankle, knee, and hip joints. Training pistol squats gives you the freedom to work your legs anytime, anywhere. You don’t have to wait for the gym to open. You can work out on vacation. You can train pistols at home, while waiting for your coffee to brew, or when you’re at the airport waiting for your flight to board. When you purchase Rock the Pistol for just $19.99, you won’t have to figure everything out yourself. We’ll give you all the very best tools we know to help you meet your goals, and all you have to do is just go and do the work. Email check-ins and support: Our 100% support and commitment to helping you to rock your pistol. Remember, although Rock the Pistol will give you our very best knowledge and tools to help you on your pistol journey, ultimately you are the one who has to go and put in hard work. It will take weeks—even months—to get strong, flexible, and mobile enough to be able to do pistol squats, so don’t expect overnight success. However, if you do work hard and stay consistent, you will reach your goals. Just make sure to believe in yourself along the way—we do! I’m not even close to being able to do a pistol squat. Is this course for me? There are two levels in this course: beginner and intermediate. If you’re not even close to being able to do a pistol yet, the beginner course is for you. Everyone has to start somewhere! The course has many different progressions that you’ll be doing to gradually build up the strength you need for a full pistol squat. You don’t need any experience to get started. I can do one (or more) pistols on one leg, but can’t do any on the other. Do you think this course will help me? Yes, it will! There are two levels in this course: beginner and intermediate. You should take the intermediate level. It’s likely that you haven’t tried the most useful progressions, so practicing them may be the key to your success! What equipment do I need for the course? Most of the exercises we do in this course can be done without any equipment at home. There are some variations where you need a simple sturdy chair or a bench. For additional strength exercises, we use parallette bars like these or these, but they are optional. Is there a specific training plan I should follow? Yes, we’ve made you a training plan for eight weeks. Follow that as well as you can, but if you’re not ready to move on to the next week’s plan, you can repeat the week that you already did for one more time. How often will I need to work out? We recommend that you work on your pistols no less than 3 times a week. If that feels like too much at first, you should always listen to your body and take an additional rest day. If you can’t work on pistols, you should try to do at least supplementing leg exercises that we also provide. Each pistol workout should take you no more than 15-20 minutes to complete. Should I focus on only pistols for 8 weeks or can I do other training as well? We definitely recommend continuing your other training while you’re working on your pistols! Because pistol training won’t really take you that much time, it’s a perfect complement to your regular workouts. So keep doing HIIT, yoga, lifting, running or whatever else it is that you enjoy doing. Will I able to do pistol squats by the end of 8 weeks? We can’t guarantee that. People have different starting points and how far you get depends will depend your current fitness level and how often you practice. Even if you don’t get there in 8 weeks, just keep practicing with the progressions from the program and you’ll get there.